Departing on 19 November 2016, Aurora Expeditions is delighted to offer travellers the opportunity to join their Photographer’s First Light Expedition to Antarctica and South Georgia with amazing 25% savings. The pristine conditions of springtime, with penguins courting and king penguins shuffling eggs under their feet, the spectacular sight of majestic albatross ‘dancing’ and fur and elephant seals giving birth are just some of the highlights of travelling at this time of year. Not to mention the glorious Antarctic midnight sun light; a photographer’s paradise. After exploring and photographing South Georgia’s spectacular northern coast, teeming with wildlife and home to the world’s largest king penguin rookeries, the expedition will pay homage to Shackleton’s epic final steps before visiting Grytviken’s whaling museum. Crossing the Scotia Sea, take in the spectacles of seabirds, gigantic icebergs and great whales including blues, fin and sei before arriving at Elephant Island. Soak up the sights of penguin rookeries during nest-building and breeding, whales and seals, historic sites and the continent itself before crossing the Drake Passage to Puerto Williams. 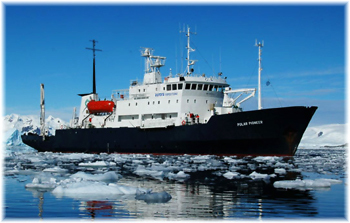 As with all Aurora Expeditions, there will be on-board naturalists and historians. This particular expedition offers free photography workshops and lectures with a guest speaker from BirdLife Australia. And for the more adventurous there will be the opportunity to paddle sea kayaks gliding between ice floes, brash ice and icebergs dotted with wildlife. Aurora Expedition’s 18-day Photographer’s First Light Expedition departs on 19 November 2016. From the discounted price of £9,080 per person (a saving of £3,030). Includes local flights, accommodation on the Polar Pioneer, all shore excursions and zodiac cruises.